thanks to the powerful boiler with unlimited autonomy of 6.7 BAR and the pump of 15 BAR. 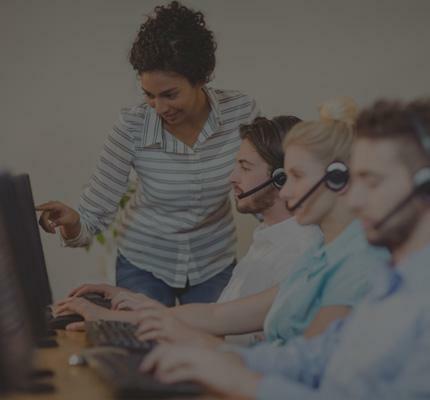 To guarantee maximum reliability over time, La Vaporella has a powerful boiler guaranteed for 10 years with the exclusive NO CALC LONG LIFE BOILER TECHNOLOGY that prevents the negative effects of limescale, giving your boiler a longer life without any need for maintenance. Furthermore The innovative soleplate with patented 360 ° FLUID CURVE TECHNOLOGY, rounded and multidirectional, will eliminate even the most difficult creases without effort. 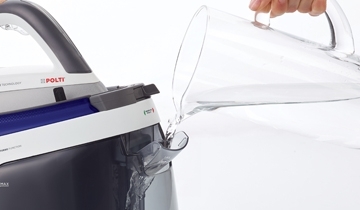 La Vaporella has a high pressure boiler with innovative NO CALC LONGLIFE TECHNOLOGY that prevents the negative effects of limescale, giving your boiler a longer life without any need for maintenance. 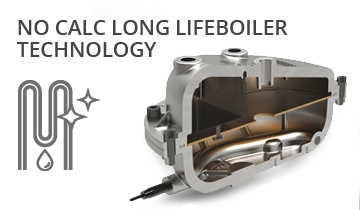 The particular aluminum alloy neutralizes the effects of tap water impurities, while its special internal design - scale catching device and anti scale filter - catches even the smallest limescale particles and protects the active boiler components. As a result, no boiler maintenance is needed. The innovative multi-directional rounded aluminum soleplate with double ceramic coating allows perfect results in one pass. 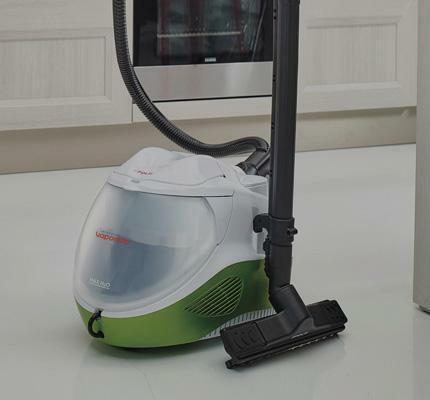 The high precision tip reaches difficult places and the concentration of steam in this area also smoothes out difficult creases. The rounded edges for 360° ironing allow perfect smoothness without effort, easily navigating obstacles such as buttons, collars, pockets. The uniform distribution steam channels allow faster ironing for professional results in a very short time. 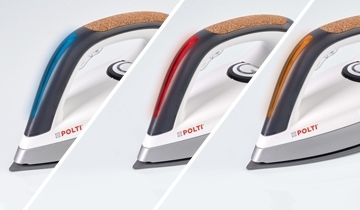 The 4 settings allow you to treat every fabric with the right steam intensity to have perfect garments in record time, moreover you can adjust the soleplate to the correct temperature with the knob on the iron. Or if you need to iron delicate fabrics that don't need to be steamed or you just need a quick refresh, you can use the dry SILK function. 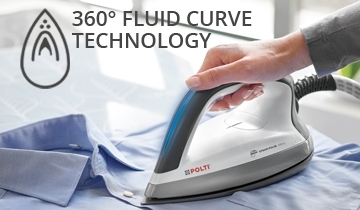 By setting the TURBO function, the high pressure boiler releases a powerful steam jet that helps you iron the most creased fabrics and eliminate the most difficult folds. 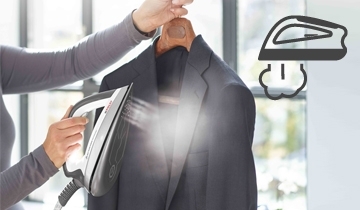 To reduce energy and water dispersion, select the ECO program that automatically sets the steam pressure to save energy* (-28%) and water* (-34%) without compromising the ironing result. 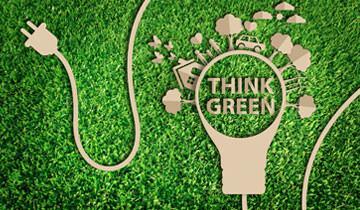 **Consumption in % in ECO mode compared to TURBO mode. LED INDICATORS ON IRON HANDLE: EVERYTHING UNDER CONTROL! 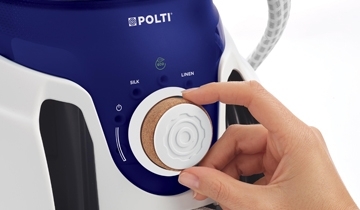 Fill and empty the removable tank easily, place the iron wherever you want with the practical removable pad with non-slip rubber and store La Vaporella safely with the iron lock that facilitates transport. 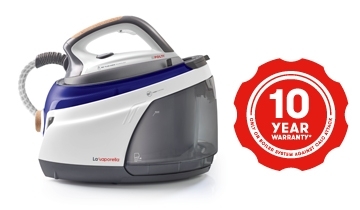 La Vaporella was born to make ironing an easy activity.